Once you have your XCRI CAP 1.2 course feed, you may well want to populate your website with pages generated from the XML. 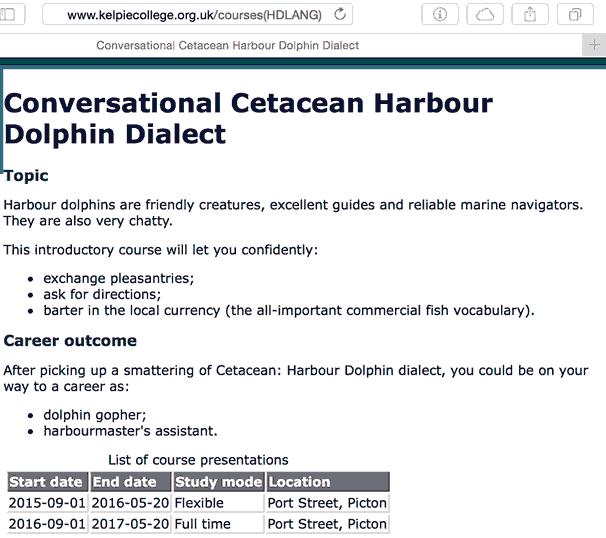 a course discovery page, with refinement links and paging. The version of ASP.NET tested was 4.0, although most of the code should work in other versions. I am using the Sample ASP.NET code to take XCRI CAP 1.2 XML from database and publish it as a web feed example. The sample website has three files in the root directory: the master file, its code behind VB.NET file, and Global.asax. 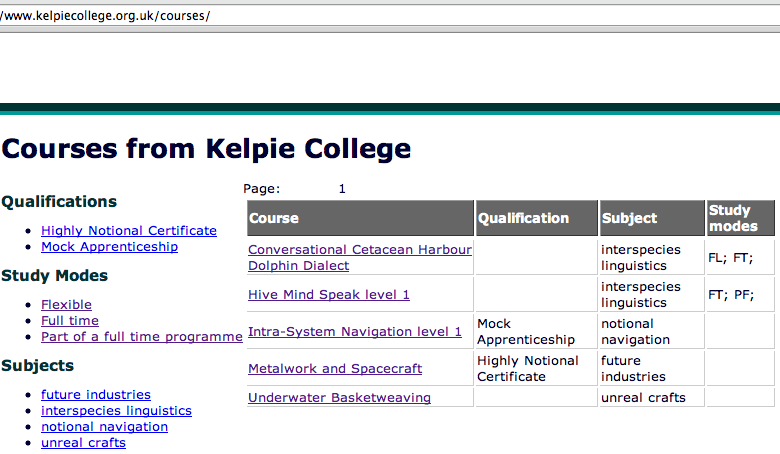 The course discovery page lives in the /courses directory, and the course details page lives in the /courses/course subdirectory. The XSLT stylesheets for each page are safely tucked away in /xml/xsl/t/courses. 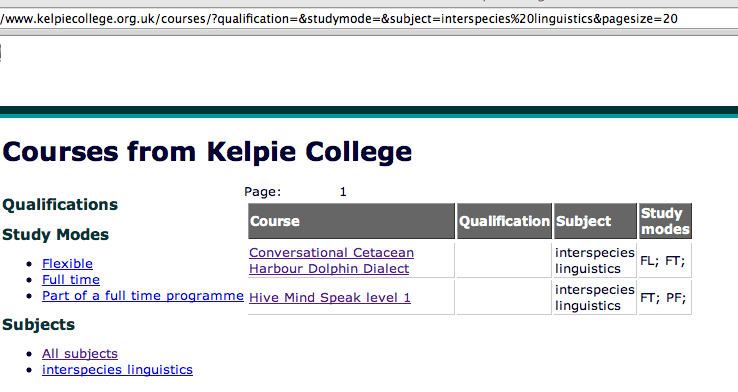 gets the course title and puts it into the web page title. Note that in the above XSLT code, each table row is markup up as a hCalendar event, which may appear in search engine result pages as distinct sub-items. where "XYZ" is an internal database identifier (actually in our sample database our id is a URI, but the "XYZ" part is the only part that changes). This is not optimized, production-ready code. This method leaves an unwanted XML declaration stuck in middle of web page. This example uses some titles instead of identifiers for parameters. One great thing about XCRI CAP vocabularies is that you will be able to pass short tokens like 'FT' in URLs instead of long, URL-encoded labels. CSS styles are not included. You could really improve the display by adding design flair, colour, icons and so on. Text search is not included. You might want to incorporate search into your discovery solution, by providing a text input and passing that as a parameter too. This sample set of working code builds a small, test website using ASP.NET 4.0 and XSLT, and an XCRI CAP 1.2 XML feed, to create a course discovery web page on which users can read and filter a list of courses, and then click through to a course details page, also created here in code.